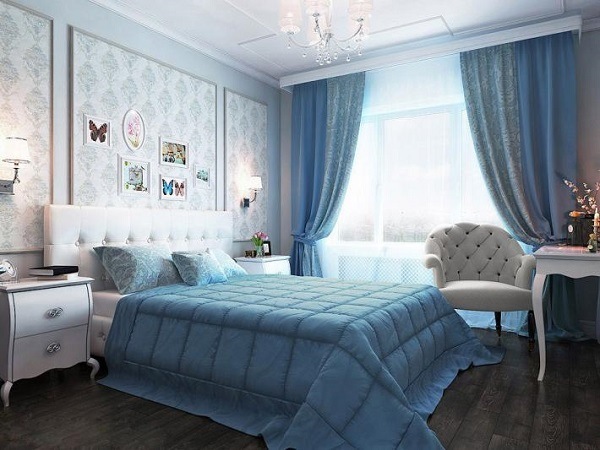 Blue bedroom design ideas are a pleasure to the eye to many people as the color is associated with azure sea, clear sky, horizon, refreshing breeze, and infinity. This is one of the dominant colors in interior design which is rich in shades and can vary from turquoise and pastel blue to deep and dark colder tones. The blue palette always brings some peace and spirituality to the interior. Dark tones are associated with reliability, strength and confidence and the turquoise shades have been a hot trend for several years now. 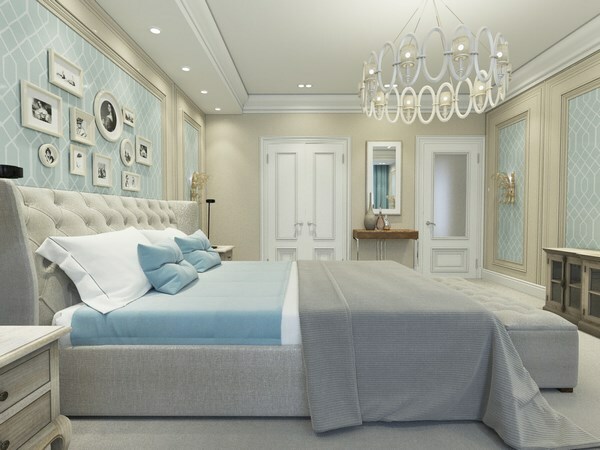 Bedroom designs in blue are quite popular for modern style interiors, and every homeowner can experiment with different combinations of colors which will make the design unique. 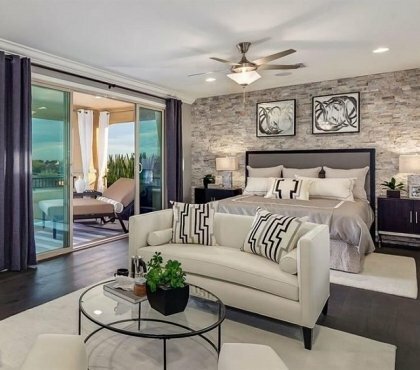 A bedroom is a place where a person should be surrounded by a cozy and relaxing atmosphere. Due to its lightness and airiness, it can create a vivid impression and emphasize the elegance of the room. It all depends on what color and texture combinations are used in the decor. Harsh contrasting combinations and annoying color accents are out of place here. 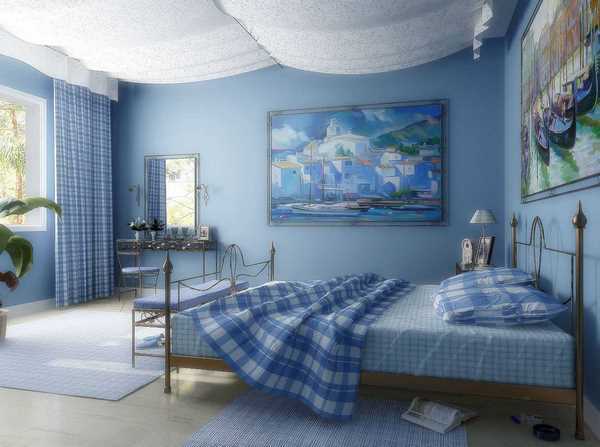 A blue room is psychologically perceived as a bright, clean room with plenty of fresh air. Blue inspires optimism, good mood, confidence and is also the color of romance, harmony, fidelity. In addition light blue colors on the walls visually expand the space, and when used on the ceiling, it will make a low room look higher. 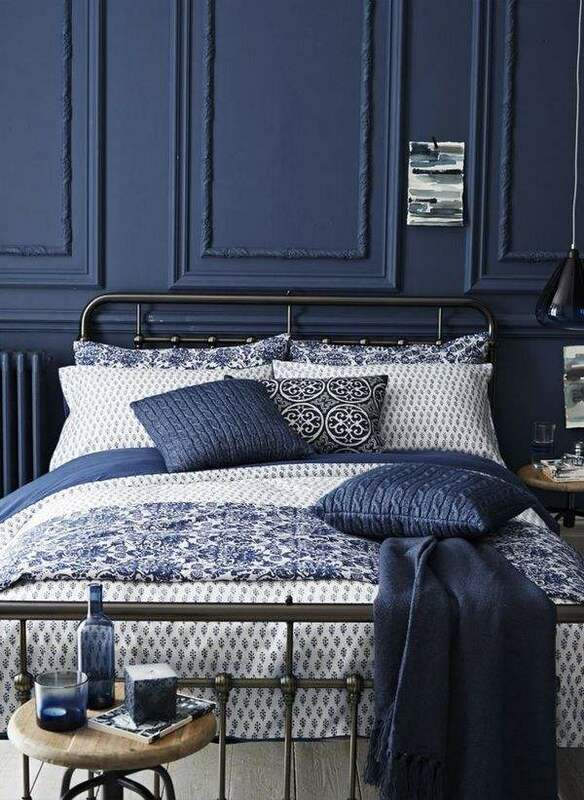 Designers recommend using this color in the interior of the bedroom when the homeowner needs fresh air, for example, with respiratory disease, when a person suffers from insomnia and fatigue or when it is necessary to expand the space and make the room lighter. 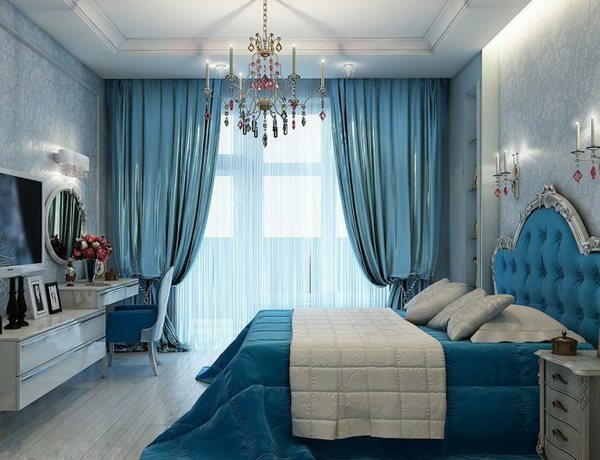 One of the greatest advantages of blue color is that it is suitable for both large and small bedrooms. As per the psychology of colors, blue helps slowing the heart rate, suppresses hunger and reduces blood pressure. Blue color is not intrusive, so it allows you to create a unique interior design, a warm and comfortable environment for a good rest and pleasant communication. 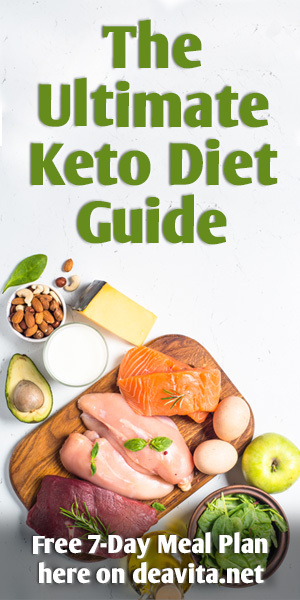 It can be combined with almost all colors, as it is fairly widespread in nature. It is important, however, to observe the rules of combination and harmony of colors as incorrect combinations can make your bedroom look cool and lifeless or too grim and cold, especially if the windows face north. 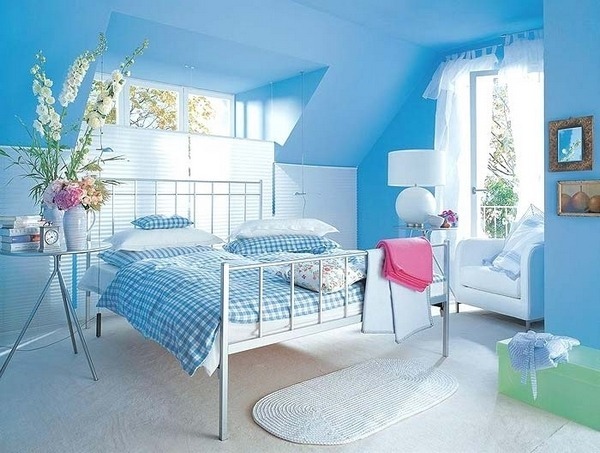 In a sunny room, where there is a lot of natural light, blue color will look admirable. 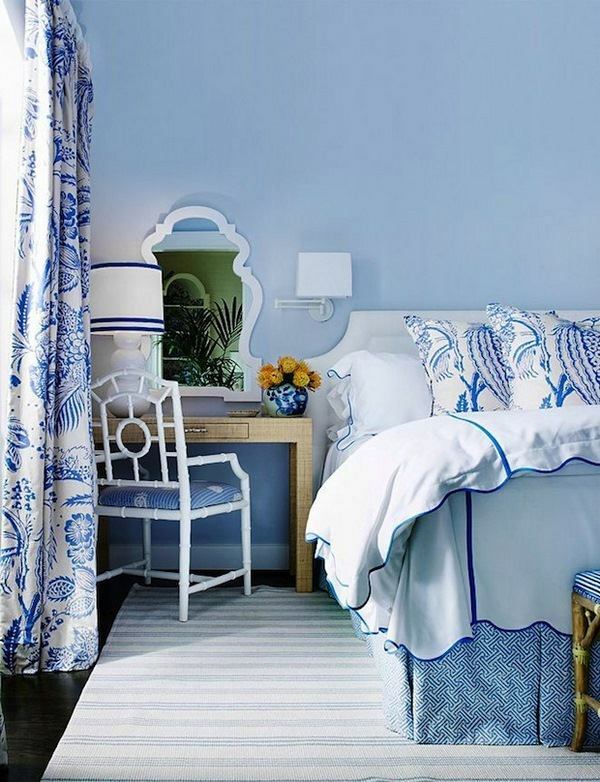 Blue bedroom design ideas can be seen in almost any shade of the color. Experienced designers realize that the right choice of color and the right combinations can affect the mood of the home occupants and that is why it is especially important to choose the appropriate shades for the most intimate room in an apartment or a house – the bedroom. 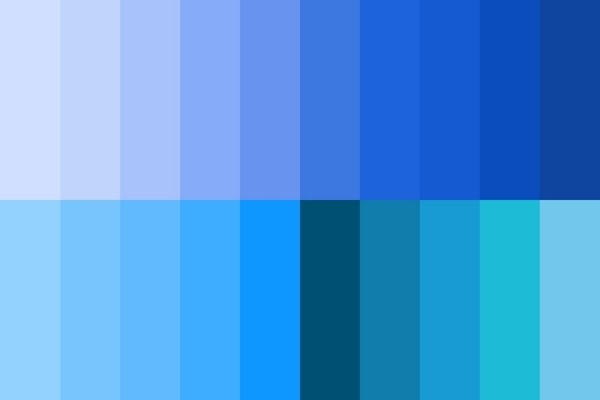 Let’s look at the different combinations of blue and other colors. 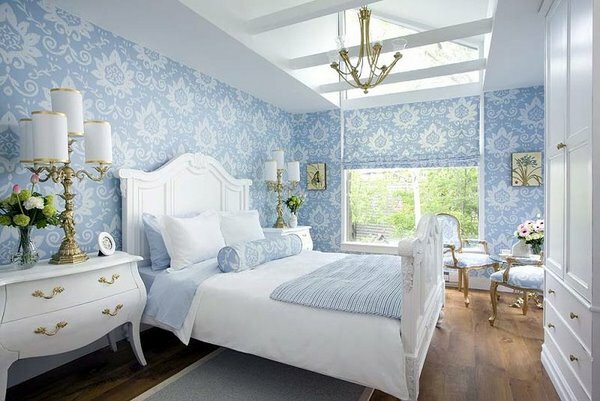 White and blue bedroom interiors are, perhaps, the most popular option which is considered to be universal and any interior looks festive and elegant. This option is considered classic and not without reason. White and blue is a win-win combination as these colors represent the pure snow and a clear sky, a snow-white beach and azure ocean. This combination is perfect for rooms looking to the south because the sunlight will make the bedroom bright and cheerful. The combination is often chosen for interiors in classic style which look elegant, sophisticated and aristocratic. To soften the appearance, special attention should be paid to curtains and textile accessories. They should be selected in a single color scheme, match the chosen design and harmonize with the furniture. White furniture with carved legs, a gorgeous canopy bed, finishes and accessories in gold or silver will make the interior of the bedroom truly regal. Those who prefer a more romantic interior can choose a Shabby chic design or the cozy Mediterranean country style and add light curtains and pillows with floral patterns to create a joyful interior with romantic blue notes. 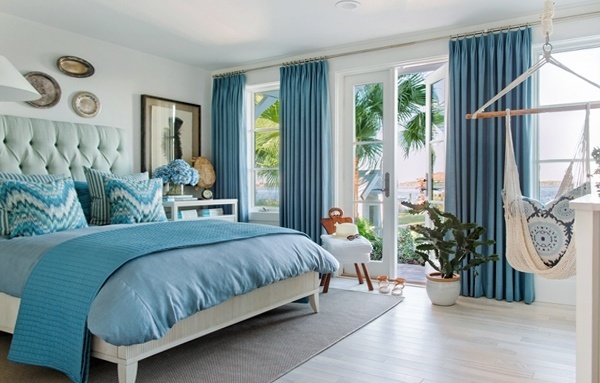 Beige and blue bedroom interiors reflect the warmth of home comfort. Beige walls increase the size of the room, this combination makes the space warm and light at the same time. 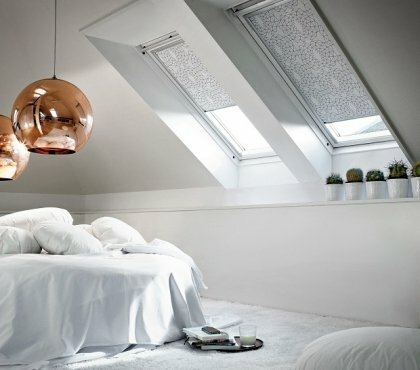 When there is not enough natural and sunlight, it is recommended to replace the white color with beige and sandy hues. These colors bring an atmosphere of warmth and coziness to any interior. Beige color can be used on the walls, for example wallpaper, and is the perfect backdrop for light furniture made of wood. 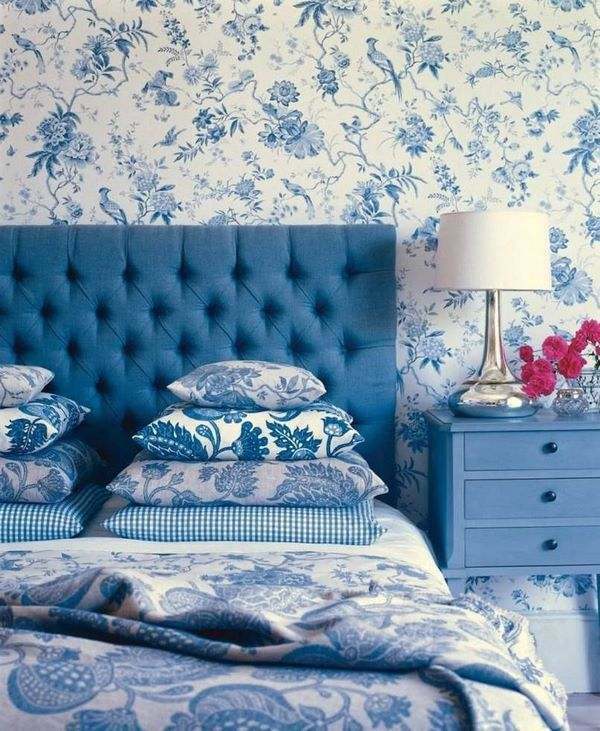 To make a blue-beige bedroom a little more interesting, you can add a few bright accents like pillows, bed linen, carpet or shelves. 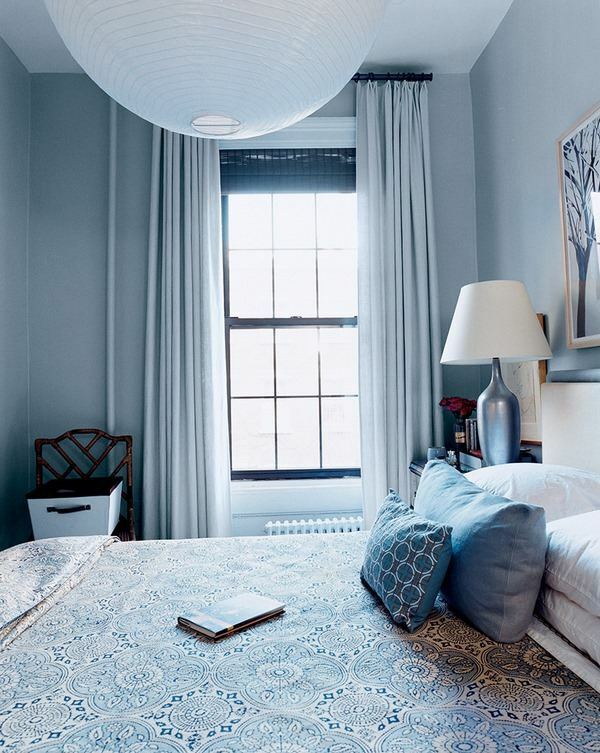 Bedroom in gray and blue shades usually combines not two, but three colors – gray and blue can be joined by white or light gray. Such interiors are very elegant and discreet. The calm decor of the room will not seem boring if it is combined with bright accents – pillows, curtains, floor lamps and furniture. Different materials and accessories will add texture, individuality and character to the room – silk, velvet, aged wood, brass, bronze, mirrors and original chandeliers. Brown and blue bedroom interiors were very popular in the 1980’s and this combination can be used for retro styled designs and is often associated with stability. 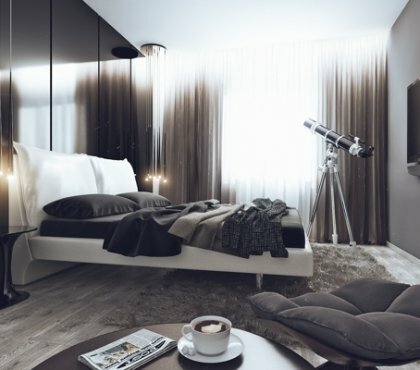 The light shades of the sky and the brown accents of the earth are a beautiful natural combination so a bed made of dark wood will be a focal point against light colored walls. When using brown and blue, one should be careful not get carried away and overdose the brown color, otherwise the room will look dark and uncomfortable. Blue and green – these colors are relatively close to each other, therefore they can be used in the interior as neighboring colors. Being similar, together they form a harmonious union, mutually complementing each other. What is the reason for this popularity of this combination? The fact that the blue and green colors remind of Nature, so when decorating the interior in these colors, the most successful option will be to use their natural shades. Delicate shades of turquoise, aquamarine or mint in combination with azure and sky blue create a calm atmosphere the bedroom. Blue and black color is a combination that should be carefully thought of as it may look too dark and aggressive. Usually, in bedroom interiors, a black tone is supposed to be used next to another color. To avoid a negative effect, it is best to try using the colors in the interior separately. Pay attention to modern minimalist designs where blue-black combination is complemented with white or another light shade. 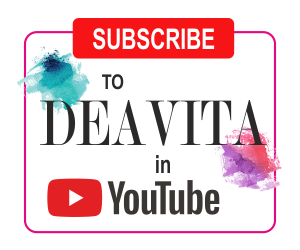 Blue and red is a combination of strong contrasting colors and even experienced designers use it with extra caution because, if used in disproportion, the whole design can be ruined. However, the rule that opposites attract still applies and you can create a magnificent bedroom interior using these two colors. The most important thing is to keep the proper temperature balance by using the red as an accent color. The good thing is that both colors have many shades which work harmoniously. Red varies from crimson and scarlet to terracotta and raspberry. Blue combined with yellow and orange looks vivid and cheerful as the yellow or orange tones symbolize the awakening of nature, its tender spring motives. 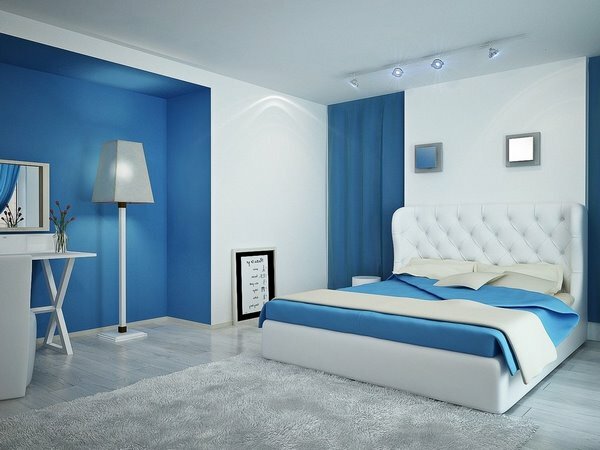 How to choose the furniture in a blue bedroom? The main goal in the interior of any bedroom is to create a comfortable and stylish space so the choice of furniture is of great importance. The bed occupies a central place in the design of the bedroom the dimensions and shape of the bed should be selected based on the size of the room itself. If the space allows, it is worth giving preference to a large bed in the center of the room, which will be the main element of the entire interior. 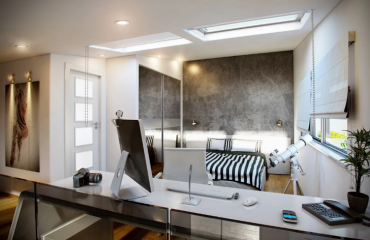 For small bedrooms it is worth choosing a modular design that easily transforms into a sofa or a closet. An excellent choice will be a dark model with light bed linen. 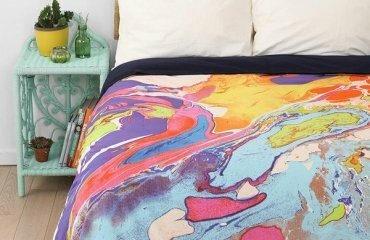 It’s practical and so the accent of the whole bedroom will stay on the bed. 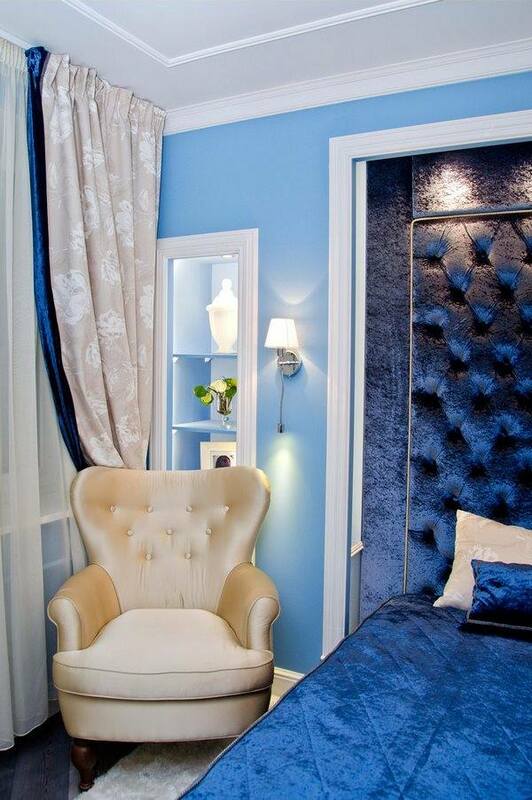 The furniture in a blue bedroom can also include a bedside cabinet and a closet or chest of drawers. Women can add a dressing table and a pair of armchairs. 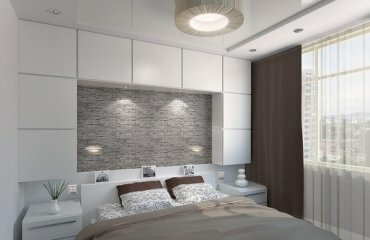 All these pieces should harmoniously combine with each other and correspond to the general style of the bedroom decor. The main blue color allows you to combine different shades, lighter gray, beige or white. White, cream and beige furniture will also look good. 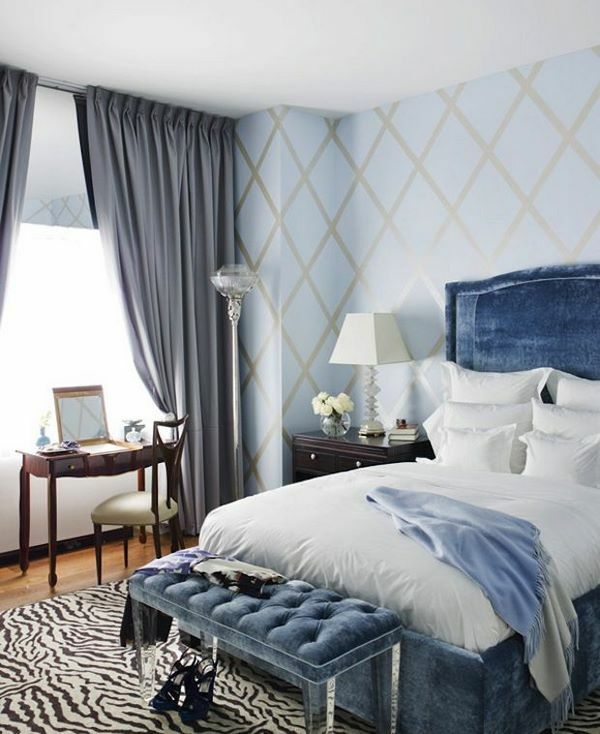 Look at the gallery below and find your inspiration in these beautiful blue bedroom interior designs.